With a dash of the board game Clue, an element of theater, and a guaranteed adrenaline rush, escape rooms have taken off in a big way. According to a July 2015 MarketWatch article, at least 2,800 have sprung up across the globe since 2010. 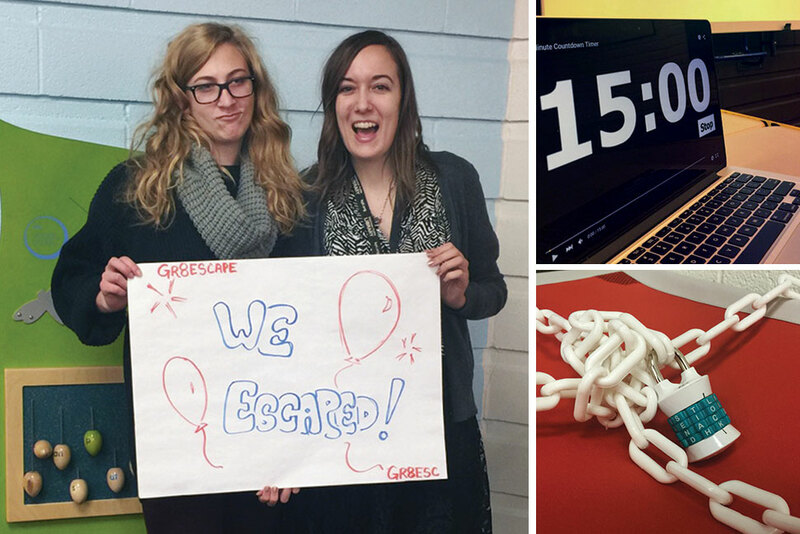 As a team-building exercise that encourages participants to flex their logic muscles, escape rooms are a hit with corporate organizers. It’s also why youth librarians are getting into the spirit of escapism. Last November, Alcox planned such an event at the Kitchener (Ont.) Public Library to coincide with the American Library Association’s International Games Day. She used a large room with a fire exit, cordoned off “problem areas” such as the surge closet, and brought in pros from a popular local escape room facility. 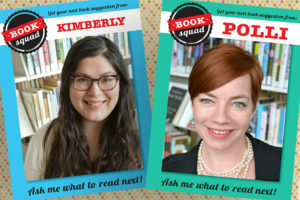 To appeal to all ages, the library team designed three versions of the clues—easy, moderate, and difficult—and had players select their level ahead of time. “We built it around a library-themed story,” Alcox says. “Participants were studying in the library when they fell asleep at some tables strewn with books and papers. When they awoke, everyone was locked in, but they had an important exam starting in 15 minutes.” Players’ first clue as to the whereabouts of the jumbo combination lock they’d need to open to get out was broadcast onto a whiteboard. Subsequent clues led them to uncover a blacklight flashlight, which they were to shine on a specific book and page number to make invisible ink visible, and reveal a code to open a treasure chest holding the key. Alcox kept the event organized with a registration table and board game café to occupy players awaiting their 15-minute turn to escape. Other libraries, however, prefer to set up a single, hour-long escape event that caters to all participants at once. Andrea Elson, children’s librarian at Radnor Memorial Library in Wayne, Pennsylvania, planned “Escape the Library!” as a finale to the library’s 2015 Teen Tech Week digital programming events last March. “I wanted to get teens excited about a week of fun opportunities at the library and also give them a positive place to be on a Friday night,” says Elson. Elson advertised the event via the library’s social media channels and print fliers, and set up a table outside the lunchroom of the local middle school to promote Teen Tech Week. “I had a 3D printer to pique their interest and told them about escape rooms, which many kids had heard of and were excited to try,” she says. 1. Consult with a commercial escape room. Alcox, Elson, and Schlein all say partnering with local escape rooms is the way to go. They will often lend props or offer to help plan the event, free of charge, if they get to promote their escape rooms at the library event. 2. Brief your participants before they enter the room. Elson met with teens in a separate room before the event to lay out ground rules, describe what was off-limits, and encourage communication and teamwork. 3. Map out your clues. Elson recommends creating a flow chart to help organize how clues will lead to the final code or outcome. 4. Consider making your program portable. Schlein says there are kits that can be purchased, such as one offered by Breakout EDU (breakoutedu.com), that would allow libraries to bring escape room programming to schools, churches, and senior living facilities. Elson says the kids spent “tons of time” going through individual books and devising theories about how titles could translate to clues—“all of which were completely wrong,” which may have been why the kids didn’t quite escape on time. “They were close, but in all their excitement, they couldn’t get the final combination lock to work properly,” Elson says. In order to break the spell, participants needed to uncover clues to locate the wand and passcode used to cast the spell. 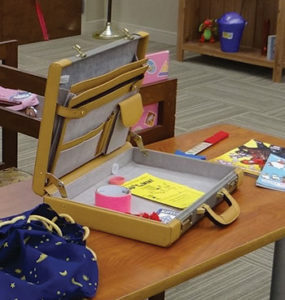 Weeks ahead of time, Schlein placed holds on all of Mahomet’s Hello Kitty books, so as to create a shelf of them in the escape room with a laminated sign reading, “My favorite things!” A note also included guidelines about not needing to move furniture, and how no clues were located in off-limits places, such as the glass AV cabinet. Once participants found their way out, they were instructed to take the passcode they’d uncovered to the main desk. If it was the correct one, the on-duty librarian would swap it for a web address of a site that Schlein had created ahead of time—a congratulatory page deeming escapees official agents and instructing them to go pick up victory stickers. “The idea was to offer people a challenge, with a little bit of a laugh at the end,” says Schlein. 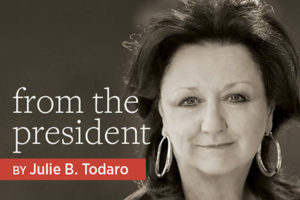 KATIE O’REILLY is a freelance writer living in Oakland, California.